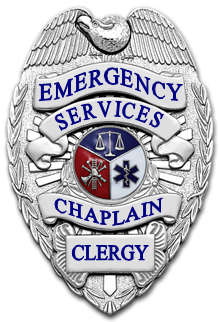 Many police and fire agencies issue badges to their uniform chaplains for identifying the minister as a member in good standing as well as their allegiance to the police or fire agency they serve. Badge styles will vary from one agency to another. 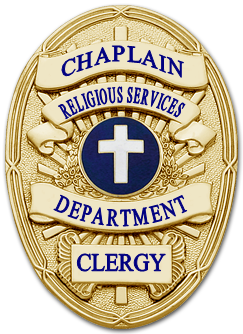 In some municipalities, the chaplain wears a traditional metal badge, in most cases identical to the police officer badge with one exception. 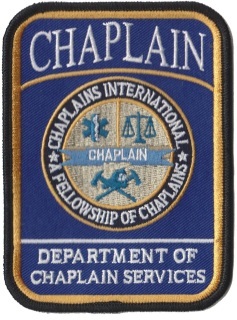 Where the title police officer is customarily on the upper panel of the shield, the police officer title reads chaplain or police chaplain. 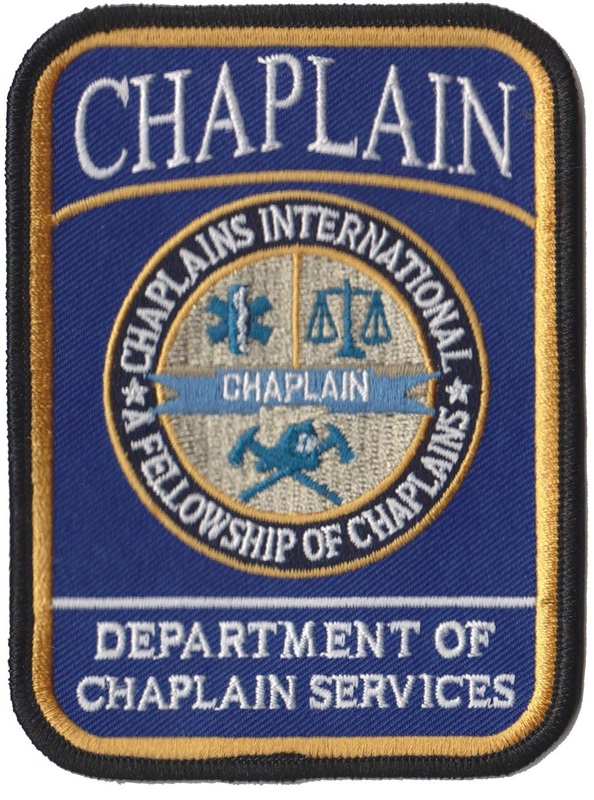 Some agencies will only issue their chaplain's cloth badges. 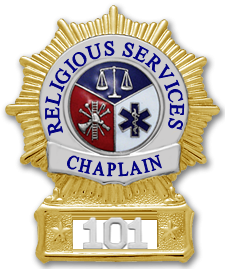 Some police and fire agencies do not include a badge as part of their uniform code. However, some chaplains by choice carry a generic chaplain’s badge with their official departmental ID. 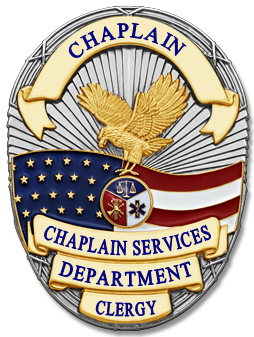 Often, the chaplain wears a chaplain badge at the belt level while on duty and usually by permission of the agency they serve. Chaplains International offers their ministers different badges styles with the official organization name on the badge. 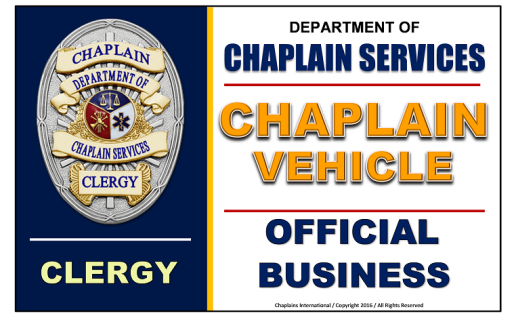 Each badge is customized with the chaplain’s official ID number on the bottom panel. 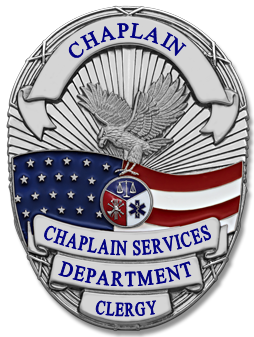 Many agencies prefer the chaplain to carry an organizational shield as opposed to a public agency shield thus representing the organization (Chaplains International) while on duty. 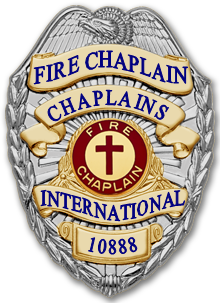 The generic badge can be used though it bears no affiliation to any organization. 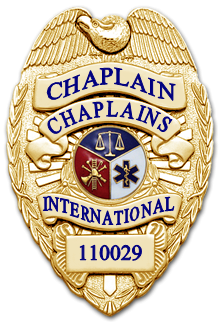 Chaplains International is a non-profit Christian fellowship. 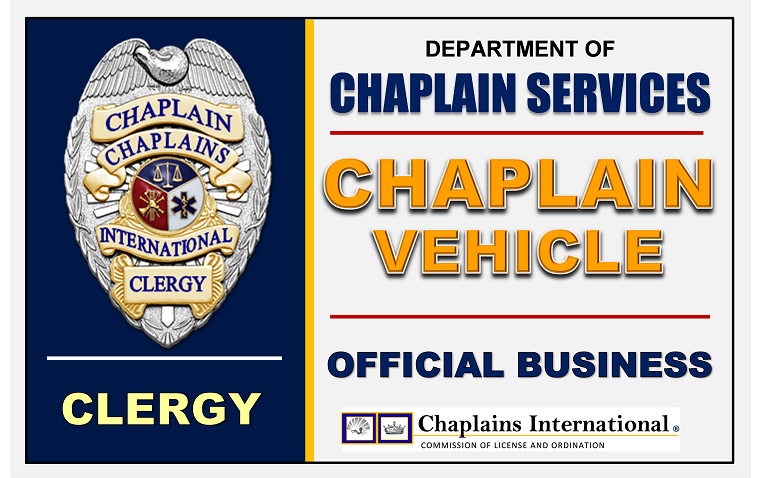 All organization dues and purchases made on our website helps support our ministry work. 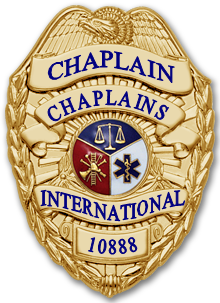 Please note that members in good standing with Chaplains International may purchase any BADGE, PATCH OR CAR PLAQUE with the Chaplains International logo. 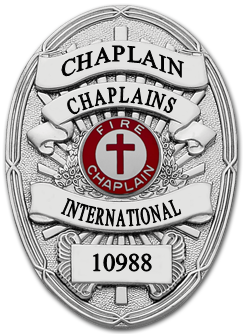 Recognized member must present their assigned identification number when purchasing items containing the CI logo or Name. 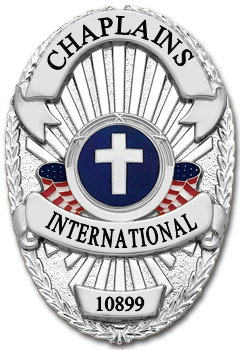 Non-members may purchase items from generic section only. 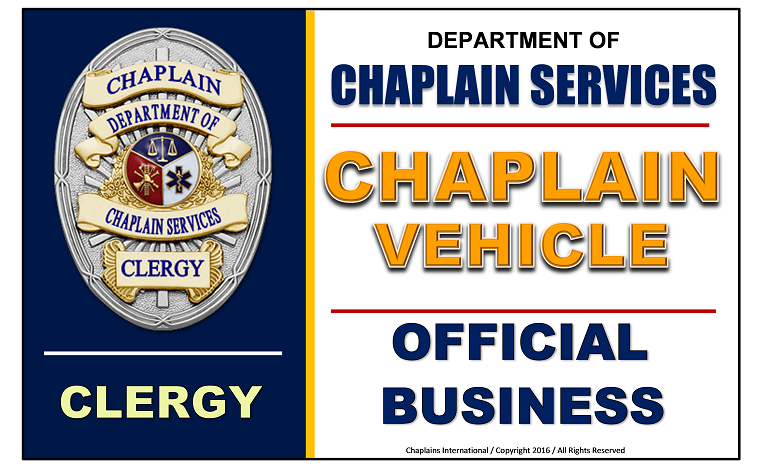 Place this plaque in your car window for instant recognition during times of crisis.